Are your displays and presentations the best they can be? In just a little over a month, it will be time for the MA State Science & Engineering High School Fair. To help teachers assist students in final preparations for the High School Fair, we’re providing you with tips and resources to help get ready for the “big day.” Here is a checklist of items and information to improve the display. 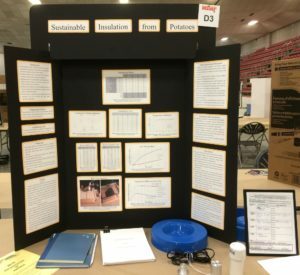 To prevent any problems on fair day, now is a good time to do a careful, final review of all the rules and regulations of the MA State Science & Engineering High School Fair. Note that items which may have been allowed in a school science competition might not be allowed in the state fair, so be sure to review rules concerning allowed and dis-allowed display items. It’s important to also make sure that the display board itself, and all items to be included as part of the display, meet the space/size requirements of the fair. Points can be taken away for projects that exceed space requirements. Check to see if any required information needs to be on display in front of the board such as an abstract, or special forms for continuation projects, qualified scientists, risk assessment, etc. This information can be found at the MSSEF web site. 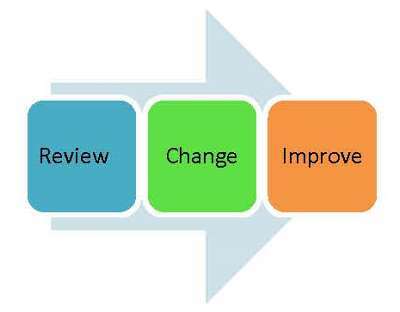 As students advance from one fair to another they are allowed to make changes to improve their projects, such as increasing the number of trials, as long as it does not change the project as described in the Research Plan. The display board can also be re-created to make it neater, or to address any issues or add missing information pointed out by a judge at another fair. Is the font size of the text on the display board large enough to easily be read by someone standing four feet away? It’s advisable that font-sizes be at least 16 point, and preferably 18 or 20 point. The display board needs to be as neat as possible so nothing is crooked or cut sloppily. It’s crucial that someone other than the student proofreads all the text on the board to insure there are no typos or grammatical errors. While nearly all display boards include essential information such as Question, Hypothesis, Materials and Procedure, many have photos or groups of photos with no caption, as well as charts and graphs with no titles/legends/labels. Accurate titles and labels are a good way to help judges clearly understand and easily interpret the display. Many judges like to see that a student has thought about ways project’s results can be applied in the “real world”, in future research or in “next steps” with the project. This is a paragraph typically placed on the right hand panel of the display board, just below the Conclusion section. There’s nothing sadder than to see students upset prior to judging because their display boards fall over or have sections fall off. The board should be checked in advance to insure it is sturdy enough to stand up on its own. And, always advise the student to bring along tape/glue stick in case pieces get unglued during the fair. The project notebook or logbook. A report about the project (check regulations for the required length, format, font, type size or spacing). It’s essential to include a bibliography. A model of the project or items that may have been used in the experiment. Be certain to check the rules to insure the items meet the science fair’s regulations and size requirements. If possible, a video of the experiment/project as it was conducted or constructed, playing on a small video playback device, is a nice extra touch. These tips are provided to help students be prepared and to succeed at their science & engineering fair competition.